A creamy balm thick in texture and rich in emollients, the Manuka Honey Skin Cream is our top seller because it moisturizes even the dryest of skin. Organic New Zealand Manuka honey is combined with organic tree nut-free oils and beeswax to create this gentle, nourishing Manuka honey eczema product that will not burn or sting the skin. Our "Manuka cream" is a surprisingly soft and creamy oil based balm, rather than a true water based eczema cream that's excellent for soothing and calming irritated skin. Unlike other honey creams, our smooth, creamy balm is not at all sticky, won’t burn the skin and contains two key ingredients you won’t find anywhere else: Organic Active 16+ New Zealand Manuka Honey and Manuka oil. Manuka honey is not only a natural preservative (which means we do not need to use ANY added preservatives like Phenoxyethanol, Caprylyl Glycol or Sorbic Acid), but it has 1,000x more methylglyoxal than regular forms of honey. That’s a how lot of antibacterial power! When compared to tea tree oil, Manuka oil is 20 to 30 times more effective against bacteria and 5 to 10 times more effective against fungus. 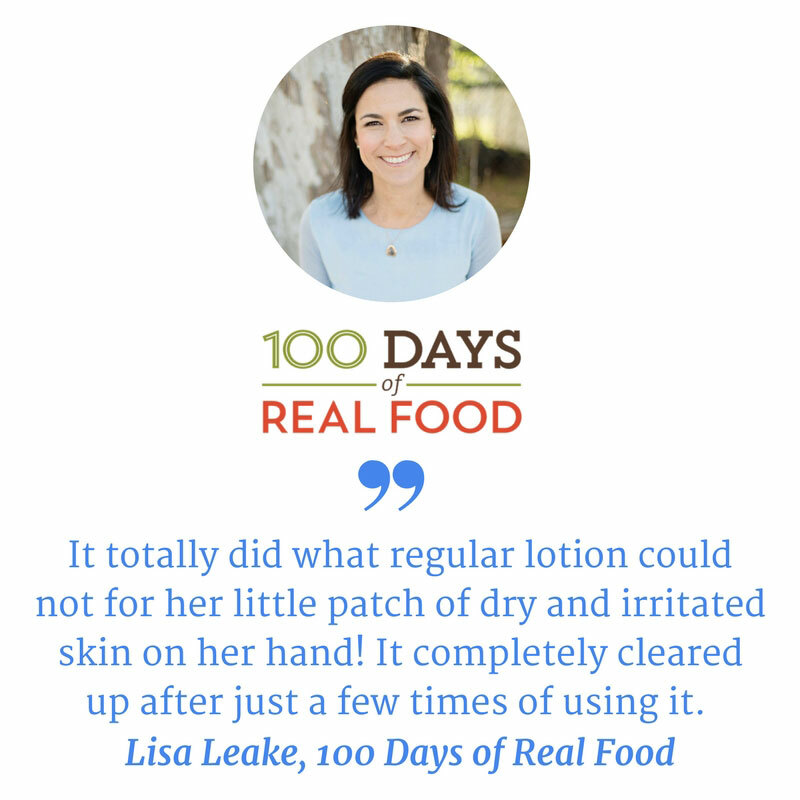 Now you see why, we love all things Manuka for treating skin conditions. Something else you won’t find elsewhere, we only use six ingredients! When managing sensitive skin, we know that less is more. Using less ingredients and only those of the upmost quality and effectiveness means less chance of a reaction. Only soothing relief. And we don’t add any fillers, fragrance, preservatives, nothing, nada, zilch. Only pure, simple ingredients you can trust, each hand picked for their skin soothing abilities by a mother who searched the moon and back for something to heal her own son’s eczema. And now it’s available for you. 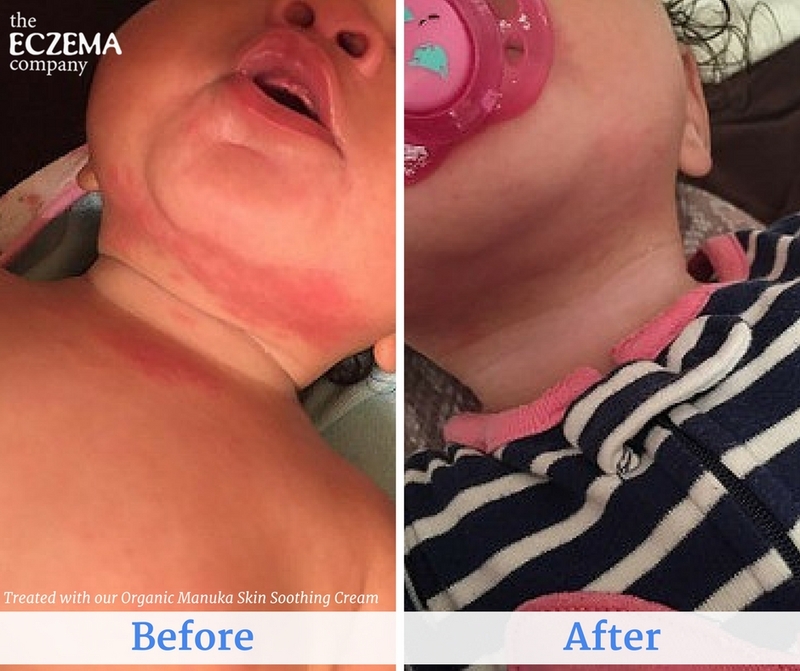 Why you should try Manuka honey for eczema today! Active 16+ Manuka honey has 1000x more methylglyoxal than regular honey. Maunka oil is more potent than tea tree oil when battling bacteria and fungus. Absolutely zero added preservatives or fragrances. Handmade with only six ingredients. level of methylglyoxal in manuka honey is 1,000 times greater than most regular honeysTried and tested by an eczema mother. Seriously! Her family continues to use this product today!Active 16+ Manuka honey has 1000x more methylglyoxal than regular honey. Works very well with Dry Wrap and Wet Wrap Therapy. Organic Olive Oil, Organic Beeswax, Filtered Water, Grape Seed Oil, Organic Active 16+ New Zealand Manuka Honey and Manuka Oil Extract.